Tele Radio Radio Remote Controls – Ravioli S.p.A. The Swedish Company Tele Radio projects and manufactures Radio Remote Controls since 1955 and its wide range of products can satisfy numerous requirements in various fields of application. Ravioli S.p.A. is official partner and unique dealer – before and after sale – of Tele Radio Radio Remote Controls in Italy. Panther Radio Remote Controls transmit at 2.4 GHz, which is approved all over the world, with adjustable capacity, up to 500mt. Panther gives the possibility to create a customised software, by developing personalised programmes according to the customer’s requirements. 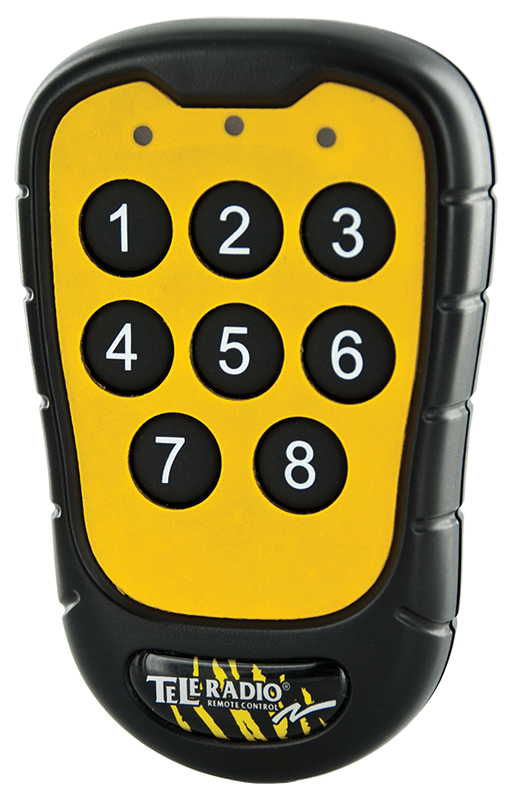 The available selection consist of transmitters from 3 to 12 buttons – available with or without emergency push buttons – and receivers from 5 to 19 programmable relays. The range is also completed by a safety version Pld, particularly useful to control lifting machineries such as EOT cranes and hoists. Tiger G2 Radio Remote Control is the most advanced Tele Radio Radio Remote Control. 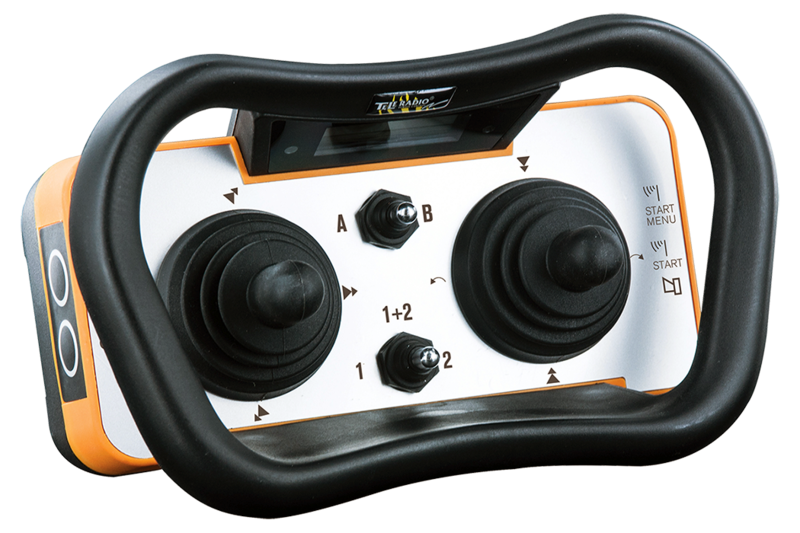 Manufactured according to the SIL3, Tiger G2 is the perfectly suitable to control cranes, EOT cranes and lifting machineries. Available models range from joystick versions to push-button versions from 6 to 12 double-speed buttons, proportional with analog output. All versions are provided with an emergency mushroom, while an optional display is available upon request. Usable frequency band might be 433MHz, 915MHz or 2,4GHz. Receivers are characterised by output with relays (from 6 to 28) or by field bus (CAN-open, profibus or mud bus/TCP). Lynx Radio Remote Controls were born to communicate directly with PC or PLC via serial communication. 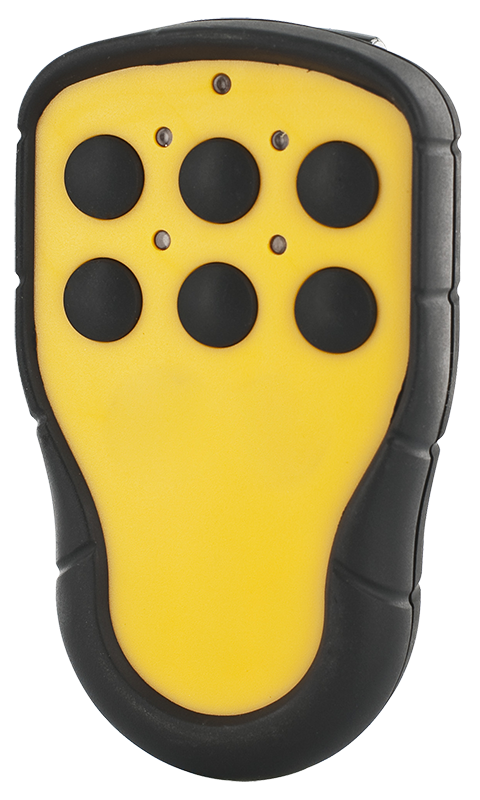 Transmitters are ergonomic and small, and available from 3 to 8 buttons.